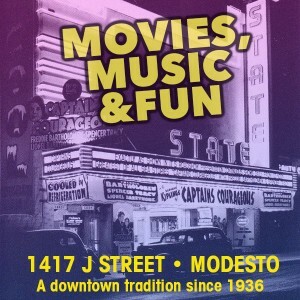 Modesto Neighborhoods Inc. makes Modesto better! 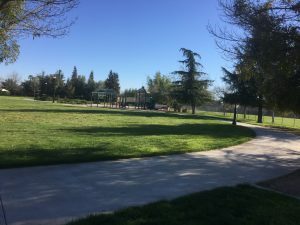 Beyer/Sylvan at the Lakes is a new community that is a part of Modesto Neighborhoods Inc! The alliances in our city have worked many wonders as neighbors have joined to achieve their goals. Beyer/Sylvan at the Lakes has been active for a year. We have taken actions that resulted in greater safety, funds for the schools within our boundaries, and beautified and cleaned streets and parks. Beyer/Sylvan at the Lakes community is bounded on the north by Claratina Avenue, on the south by Floyd Avenue, on the west by Coffee Road, and on the east by Oakdale Road. All homes, residences, schools and businesses within are part of Beyer/Sylvan at the Lakes Community. We are 3000 strong and can make a difference when we address a problem. Please contact us with your concerns and questions. Our steering committee meets on the second Tuesday of the month in the activities room of the Stratford at 6:00pm on Forest Glen Drive off of Sylvan. Future projects will assist with fundraising and installation of The Awesome Spot in Beyer Park. This is a playground for all children including those with limited mobility. Continuing fundraising efforts will provide more for our schools in the way of extra funding, and we are looking carefully at what interest there is in security patrols. A safety survey on our Gmail site is a way to express your top safety concerns. Finally, beautification of our community will happen when we participate in our Love Modesto project. We will be cleaning the streets and parks of our community. An all-community meeting will be organized in May to address safety concerns. We will be updated by the police department and our representatives on the city council as to current issues with a question and answer time following presentations. 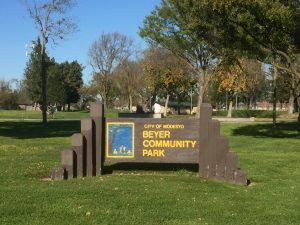 Join us for Love Modesto by signing up for the Beyer/Sylvan Lakes Community project. Register by going to LoveModesto.com/projects and clicking on the project. Contact us with your ideas and the concerns you see in your area of our community.